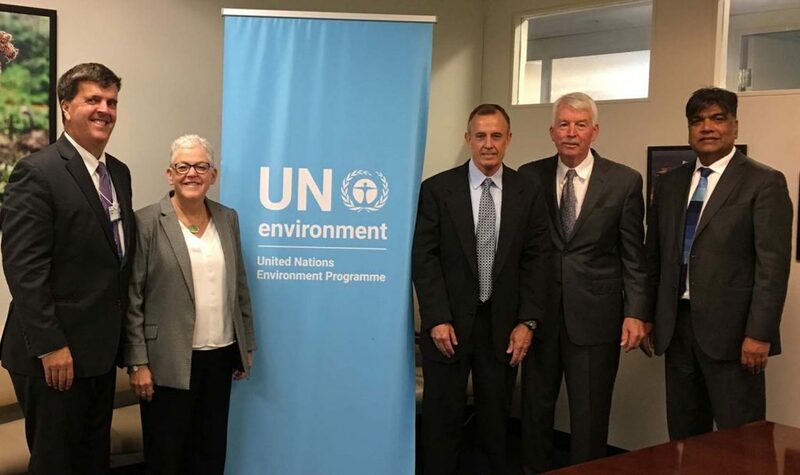 Photo (l to r): At the launch of the Global Observatory on Pollution and Health – Pure Earth President Richard Fuller; Former EPA Administrator Gina McCarthy, Harvard; Erik Solheim, UNEP; Dr. Philip Landrigan, Boston College; Pushpam Kumar, UNEP. Among the successful outcomes of The Lancet Commission on Pollution and Health report is the newly launched Global Observatory on Pollution and Health, which will target issues raised by the Pollution Commission. The Observatory will function as an international clearinghouse for all data available on pollution and health. 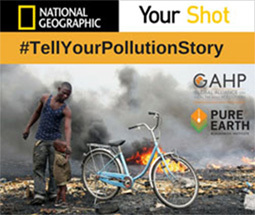 GAHP member Pure Earth will oversee the coordination and collection of input and data worldwide, and will make the crucial trove of information available on pollution.org. Directed by Pollution Commission Co-Chair Dr. Philip Landrigan, the Observatory will be based at Boston College, in partnership with UN Environment and the Center for Health and the Global Environment in the Harvard TH Chan School of Public Health.